In an era where apps like Slack let teams connect with each other instantaneously and informally, some in the tech community are about ready to declare email dead. But as the discussion of email’s purported demise rages on, more and more companies are doubling down on the technology, taking advantage of giant leaps forward in email client sophistication and responsive design to come up with innovative uses of the often dreaded inbox — particularly for productivity. lets team managers assign tasks to contractors, team members, spouses, and children by including the app in an email cc field, which recipients can mark as done directly in the emails they receive. , lets project managers for developer teams keep clients and other stakeholders up to date on how the project is coming along with informative, visually appealing emails. 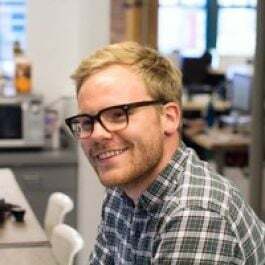 John Ostler, co-founder and principal of UX/UI at Eight Bit, said the idea for SushiStatus came about because status updates were a major pain point for his company, the main business of which is developing software for external clients. In addition to not getting read, writing those emails was very time consuming. To ease the pain of keeping clients posted, Eight Bit created a highly automated update generation tool for internal use that pulls information about budgets, to-dos, timelines, and flagged issues directly from the tracking tools the team was already using. Recognizing the tool’s potential as a standalone service, Eight Bit started preparing the platform for public release around this time last year without raising any external funding. Ostler said email was an obvious choice for delivering updates, citing ease of use, searchability for archival purposes, and ubiquity as major reasons. Particularly since his team’s experience indicated that clients were reluctant to add new applications to their workflows. In designing the app’s drag and drop user interface, Eight Bit looked to companies like MailChimp and SurveyMonkey, for inspiration. Like those services, SushiStatus lets users customize colors and add logos and images to match reports to their company’s visual branding. Managers also have the option to create different versions of the same report for different stakeholders at the same time. To give an example, when creating status updates to several members of your client’s C suite, managers can place budget information front and center in the CFO’s update, while making the CTO’s email heavier on bug fixes and feature rollouts. After a December soft launch, SushiStatus already has thousands of project managers signed up. It currently integrates with a number of project management tools including Basecamp, Jira, Pivotal Tracker, Harvest, and Trello. More integrations are likely to be added in order of popular demand. Know of a Chicago startup we should be covering? Send us an email via [email protected].